This is a true story of just how my wife and I met. After reading, we believe you can see how instrumental God was in us meeting. My wife and I met when we were 18. Yet, it’s not your usual meeting under usual circumstances. We did not meet as friends, enemies, or a redemption story that will cause your heart to go pitter patter. No, it wasn’t that. “Really, God could only pull this off!” is what we could only say as we originally met when I was in the emergency room, and my future wife, at that point, was delivering medications for the various patients there. I know what you might be thinking. You might be thinking, “Awe, this is going to be a romance born out of tragedy.” Well, I guess you’re partly correct, but read on. That was the end of our meeting for the first time. Not really romantic, but wait a minute, the romance is coming. If you have been keeping track with http://www.TrueLifeChristianity.com, you know that I suffered a horrific car accident when I was 18 which caused me to be in the emergency room. One month coma, 2 and 1/2 months of rehabilitation in rehabilitation hospital, and staggered months of out-patient rehab including physical, occupational, and speech therapies. “But wait a minute,” you say. I’m not finished, yet. Read on! Fast forward to the summer of my 22nd birthday. I went to Southeastern College in Lakeland, Florida, and my wife went to the University of Vermont in Burlington, Vermont. Even though I was even more separated from her, God has a way of making things close if you are willing to wait. Through the urging of my friends, I called her in January of 1993, and it wasn’t till 5 months later that I got to see the most beautiful woman in the world. After me & her finally met, I had to go off to a summer camp in Vero Beach, Florida in which I was assignened to maintenance. Separated again, it was not looking good. Now, this was a time before email, Facebook, Twitter, Snapchat, or anything where you had to have electric current in order to communicate. However, we both took advantage of having each other’s mailing address, sometimes receiving 5 letters in a day. When my time at summer camp was over, I flew back for a week from Vero Beach to Manchester, NH. On August 10, 1993, I asked her to be my wife, and after a moment if shock she said yes even though we had to be separated again for another whole school year. Being separated stinks, but it does allow the heart to grow fonder. 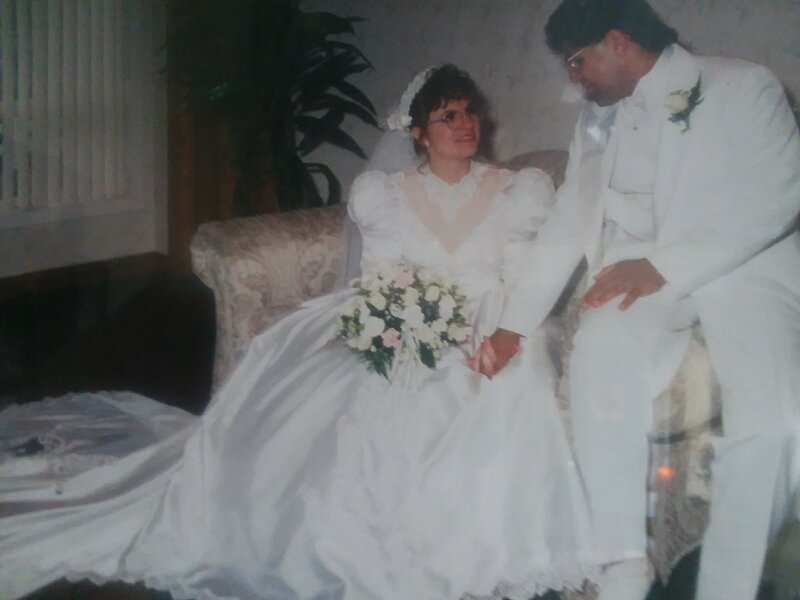 However, we were married on May 19, 1995. It has been 22 years, 22 years! 22 years of wedded bliss! Yes, we fight, but our resolve is that nothing is going to separate us, nothing! Yet, this thought came across my mind whIle writing this put there by the Holy Spirit. The little time that we had to wait in order to experience marital bliss, is like the “little” time we have to wait for believers to experience the wedded bliss of Jesus Christ. Untold beauty in heaven will behold believers as Jesus Christ awaits us! Hmm… Something to think about and do.